Power Abs Workout by Gin Miller from Empower Fitness. The kit I purchased came with a 6 lb Medicine ball, a 30 minute workout DVD along with a workout guide, which includes the strength moves on the DVD. They have other kits, with lighter and heavier medicine balls. The DVD includes a warm-up, and 45 seconds of simple cardio moves between each exercise. So you have the option to make the workout as easy or as difficult as you would like. This is a great way to get familiar with a few different ways to use and incorporate medicine ball training into your workouts. Gin Miller’s instructions and cues are right in spot. This DVD is great for an easy workout day, if you are short on time and can’t make it to the gym. If you are a beginner the moves are great for you as well but I would suggest purchasing the kit with the lighter medicine ball. The medicine ball is fantastic and very versatile; you can use it in a variety of different exercises and it is also as a great way to increase the cardio effect in certain moves. 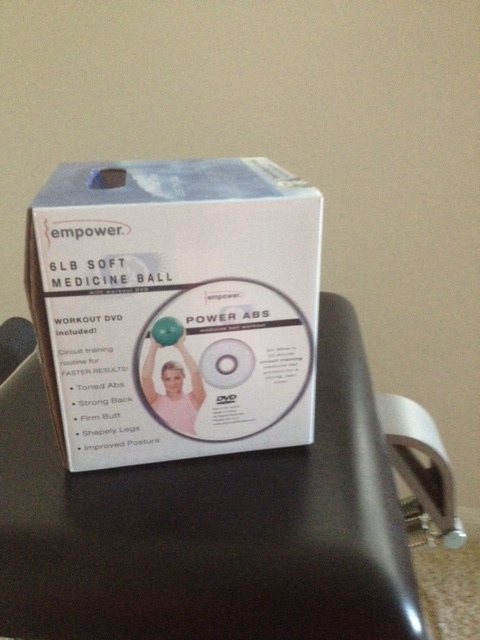 This Empower Fitness 6lb Soft Medicine Ball with workout DVD set is available on Amazon.com . Next up is the Pilates Mini Medicine Ball Workout by Gin Miller from Empower Fitness. This kit comes with two 2lb mini medicine balls, a bonus workout DVD and a workout guide. Ok right off the bat the title is misleading, because you think you will be getting a Pilates workout but you are not. The moves are “gym exercises” using the mini medicine balls. The DVD comes with a bonus cardio section, which I did not like. That being said the DVD and the mini medicine balls are great to keep in your at home fitness stash, to add variety to your routine. This workout routine can be used on lighter workout days. I will be using these Pilates mini medicine balls with my Pilates clients. 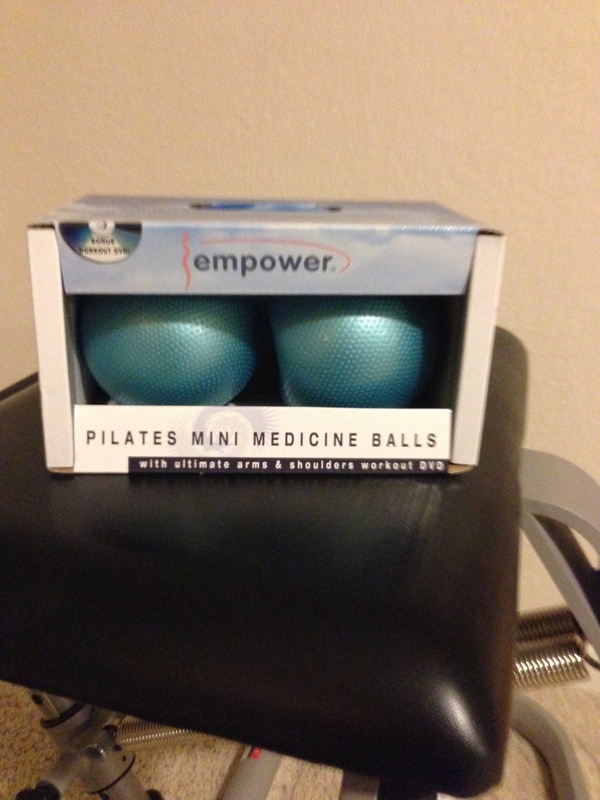 This Empower Fitness Pilates Mini Medicine Balls with workout DVD set is available on Amazon.com. Next review: Trudie Stylers Core Strength Pilates DVD.